AJW Specialty Lumber offers a full range of custom millwork services. Dressing: Including face jointing to remove cup, twist and bow, thickness planing to your specifications. 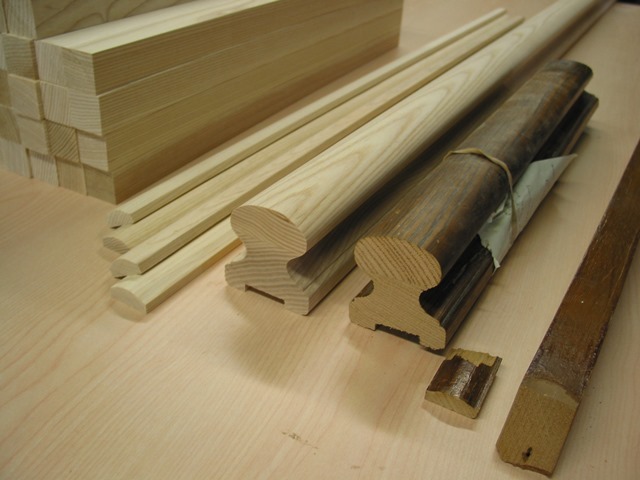 Lamination: Panels, posts or curved parts glued up to your specifications. I can offer comprehensive technical advice. Wide-belt sanding: Ever been frustrated after gluing up a table top? See how a 36" wide-belt sander can solve your problems and save you hours of inhaling dust! the only way to complete a professional hardwood floor installation. I can make reducers which will elegantly transition from one flooring type to another, even if they're different heights. Building your dream home and what some special details? 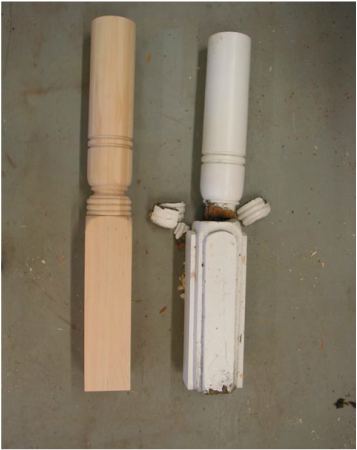 My custom newel posts will add a unique look to your project. 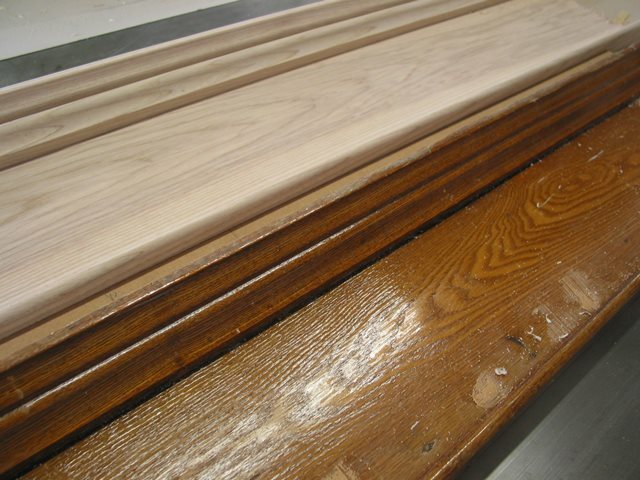 I can make a wide variety of posts, columns and other millwork that is necessary to restore a heritage home.